Grammy Award-winning mezzo-soprano Anne Sofie von Otter and Pulitzer Prize-winning composer Caroline Shaw will be together again with Nic McGegan and Philharmonia Baroque Orchestra at New York's Lincoln Center in March 2019. PBO commissioned Shaw to write three pieces in 2015 and von Otter premiered the first of them with PBO at L.A.'s Disney Hall in May 2016. 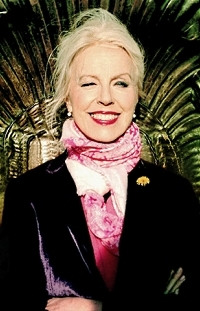 The second was performed by Dominique Labelle at the 2017 gala, and now the third and final song will be premiered with Anne Sofie von Otter in New York. The New York program will also include the PBO debut of star countertenor Anthony Roth Costanzo. Costanzo curated and performed in a critically-acclaimed modern-day adaptation of Handel's Aci, Galatea e Polifemo that was co-produced by PBO at National Sawdust last summer. San Francisco Bay Area patrons can look forward to a similar program next March when Anne Sofie von Otter joins PBO to perform the first two Caroline Shaw songs with works by Arvo Pärt and Handel arias with countertenor Daniel Moody who will also be making his PBO debut. PENTATONE is delighted to announce that American tenor Michael Fabiano, one of the most exciting talents to emerge in recent years, has signed a long-term, exclusive deal with the label. This new partnership will showcase the breadth of his repertoire over several albums, and will be inaugurated next year with a collection of Verdi and Donizetti arias, featuring the London Philharmonic Orchestra under the baton of conductor Enrique Mazzola. "I am proud to be joining the Pentatone family. Their commitment to excellence and dedication to collaboration, creates a wonderful environment in which to work, and I am looking forward to a long and mutually rewarding artistic partnership." Multitalented songwriters, composers and instrumentalists HUGAR have signed with Sony Music Masterworks in anticipation of releasing new music with the label this Fall. Friends from the sleepy township of Seltjarnarnes, the Icelandic pair consisting of Bergur Þórisson and Pétur Jónsson have made a name for themselves with their multilayered, ethereally ambient pieces, which have racked up over 30 million streams worldwide since the group's debut. Combining a shared love of musical experimentation and discovery, the musically versatile duo have a robust upcoming tour schedule this fall. Slated to perform headline shows across Europe and Asia this coming Fall including The Reeperbahn Festival, HUGAR will also make their third appearance at the Iceland Airwaves festival. Bergur and Pétur have also lent their musical mastery to a range of projects, working alongside local musical luminary Björk on her latest album as recording engineer and performing onstage as well as Sigur Rós, Ólafur Arnalds and Johann Johannson in their projects scoring music for film and TV. An unusually diverse group of 12 highly-gifted composers has been selected to receive the 2018 Copland House Residency Awards. Ranging in age from 31 to 57, these four women and eight men from eight states come from widely-varied personal and artistic backgrounds, and have pursued divergent creative paths from concert music to jazz, acoustic to electronic, minutely-detailed to free and improvisatory, socially-engaged to abstract. They include a 2018 Pulitzer Prize Finalist, recipients of the Charles Ives Living award and Lincoln Center's Avery Fisher Career Grant, and two much-acclaimed concert and jazz pianists. Artistic and Executive Director Michael Boriskin announced that Copland House's Residents for 2018-19 will be Michael Brown, 31 (New York, NY); Ke-Chia Chen, 38 (Philadelphia, PA); Andrea Clearfield, 57 (Philadelphia, PA); Michael Fiday, 57 (Cincinnati, OH); Michael Gilbertson, 31 (San Francisco, CA); Huck Hodge, 41 (Seattle, WA); Benjamin Krause, 33 (Valparaiso, IN); Remy Le Boeuf, 32 (Brooklyn, NY); Zibuokle Martinaityte, 45 (New York, NY); Paula Matthusen, 39 (Middletown, CT); Justin Merritt, 43 (Northfield, MN); and Greg Reitan, 45 (South Pasadena, CA). Clearfield, Martinaityte, and Merritt are returning for their second Residencies, and Gilbertson was a 2015 Fellow of Copland House's "Cultivate" emerging composers institute. "As One Destined to Stand Out and Challenge the Status Quo of Both Opera and Society"
In As One, a mezzo-soprano and a baritone depict the experiences of its sole transgender protagonist, Hannah, as she endeavors to resolve the discord between herself and the outside world. As One traces Hannah's experiences from her youth in a small town to her college years on the West Coast, and finally to Norway where she is surprised at what she learns about herself. Handels's Semele: August 9 & 10 in San Francisco with American Bach Soloists. Jupiter, King of the gods, takes the mortal Princess Semele to a secret hiding place on a mountain to be his mistress. When Jupiter's wife, Juno, hears of her husband's adultery, she is enraged and plots to ensure Semele's downfall. In disguise, Juno appeals to the girl's vanity and persuades her to insist on seeing her lover in his divine form. Jupiter reluctantly agrees. But since mortals cannot look upon the gods without incinerating, Semele perished, consumed in lightning-ignited flame. From her ashes arose her unborn child by Jupiter, Bacchus, god of wine and ecstasy. Large-scale opera and oratorio is a major component of every American Bach Soloists Summer Festival. Based on an English opera libretto yet designated "after the manner of an Oratorio," Handel's Semele melds the two forms into one superb work. Thursday August 9 2018 7:30 p.m.
Friday August 10 2018 7:30 p.m.
"On the verge of finishing my undergraduate degree at IU-Jacobs, it hit me: for the first time, I had the chance to move my life in whatever direction I wanted. I spent the month of June performing with the Colorado College Summer Music Festival in Colorado Springs. I have to say, it was one of the most gratifying musical experiences of my life. We covered Beethoven's Pastoral Symphony, Brahms' Academic Festival Overture, Ravel's Mother Goose Suite, Mozart's 20th Piano Concerto, Prokofiev's Peter and the Wolf, and Schumann's 1st Symphony in a little under three weeks. My quartet, The Wooglin Quartet, performed Mozart's 'Dissonance' Quartet, and to top it all off, I won the concerto competition with Mozart's Third Violin Concerto. Needless to say, it was the month of Mozart for me. After a whirlwind of concerts, I made a big change that I had been dreaming of for years: moving to Europe. I'm now living in a 25 square meter apartment in Berlin, a city overflowing with artists and creatives of every type. It's been an enormous change from Bloomington, Indiana, but I feel invigorated every time I step outside. For the next twelve months I will be applying for scholarships, jobs, and graduate schools while establishing myself as a freelancer in the city. I have German classes for three hours a day, Monday though Thursday at the Deutsche Akademie on Alexanderplatz. Also, Violin Concerto No. 1. 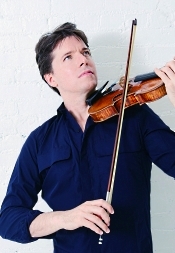 Joshua Bell, soloist and conductor; Academy of St. Martin in the Fields. 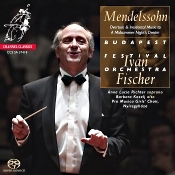 Sony Classical 19075 84200 2. Since its founding by John Churchill and Sir Neville Marriner in 1959, the Academy of St. Martin in the Fields has been among the most-prominent chamber orchestras in the world. 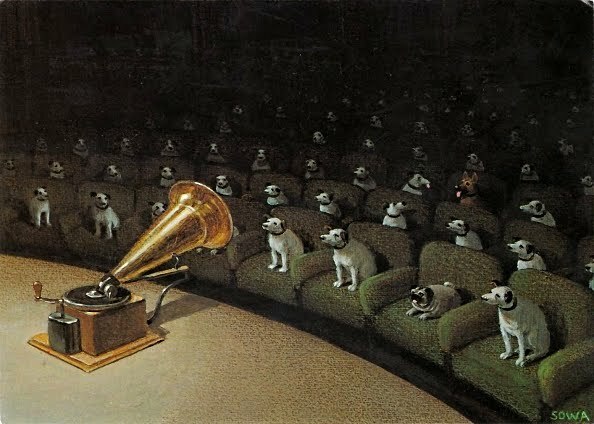 I was lucky enough to have begun collecting their recordings about the time Sir Neville started conducting them from the podium in the early 1960's, and I have followed their career through the years on L'Oiseau-Lyre, Argo, Decca, Philips, EMI, Collins, Chandos, DG, CORO, and now Sony. Although they seemed to lose a little of their recording presence during the early 2000's, their current Music Director since 2011, violinist Joshua Bell, has brought them back into the public eye. I certainly welcome any new recording by them. Max Bruch (1838–1920): his Scottish Fantasy and Violin Concerto No. 1. Record producers and conductors often pair these pieces on their discs, but seldom is the Scottish Fantasy announced so prominently. Indeed, in this case it is the only work mentioned on the cover of Bell's album. I didn't even know they included the Violin Concerto until I looked at the back of the jewel box. Anyway, the first thing on the disc is Bruch's Scottish Fantasy, which he finished in 1880, dedicating it to the violin virtuoso Pablo de Sarasate. 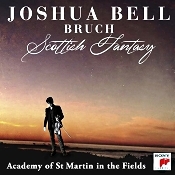 The Fantasy is, of course, Bruch's survey of Scottish folk tunes, loosely tied together in four movements. The Fantasy starts off rather solemnly with an introduction marked "Grave," which is slow and somber before giving way to the more familiar and frolicsome melodies that follow. The Adagio cantabile, for example, floats gently overheard, doing much favor and grace to the Scottish love song that inspired it. Then, the Scherzo has a charming flow that melds imperceptibly with the folk tune of the Andante that succeeds it. Yes, there is a good deal of sentimentality in the music, yet it's a delightful sentimentality no less. The work concludes with a finale that is the most overtly "Scottish" of the Fantasy's music. I have no idea why Bruch chose to start so charming a piece of music with so somber an introduction, but Bell soon enough takes us into the sweeping melodies that audiences have always loved. His violin almost sings the notes, plaintively, longingly, lovingly. Then Bell moves along to the Scherzo, which he takes at an unhurried if somewhat subdued pace. Here, I thought he might have provided a little more vitality. Bell's treatment of the Andante is subtly melancholic without being in any way gushing, and then he paints all of the final movement's sweet strains with colorful characterization. Again, his chosen tempos take us on a leisurely journey through the Scottish countryside, with few distractions. Does Bell's performance compete with my favorite artist in this music, Jascha Heifetz on RCA? Not for me, not quite. Bell is a degree too relaxed and too careful with the score, whereas Heifetz seemed to throw himself into the music. Still, Bell's fans will doubtless appreciate his work, and there is no questioning his earnest sympathy for Bruch's tunes. The coupling, as I said earlier, is the Violin Concerto No. 1 in G minor, which Bruch revised in 1867 and which has become one of the staples of the violin repertoire ever since. It has an unusual first movement, a Vorspiel (or Prelude), leading directly to the second movement. This Vorspiel is like a slow march, with some ornamental flourishes along the way. The second-movement Adagio, a series of broadly sweeping themes, is beautifully melodious and forms the core of the work. Then comes the Finale, which begins quietly until the violin opens up with a vivacious theme in the form of a dance. Again, Bell plays it safe with moderate tempos and smooth phrasing throughout. His violin tone is immaculate, and the orchestra, as always, is attentive and articulate. I enjoyed the Adagio best of all, with Bell giving it a wistful but never doleful air. With the Finale Bell again sounds just right, although I didn't think the music quite took flight. Thus, Bell delivers a reliable, measured, carefully constructed interpretation with little to fault and a good deal to commend. For reasons unknown, the folks at Sony supply no timings for any of the tracks, neither on the back of the jewel box nor inside the booklet. No idea why. Adam Abeshouse produced, engineered, edited, mixed, and mastered the disc, recording it at Air Studios, London, UK in September 2017. The first thing noticeable about the sound is that it's fairly resonant. Then, when the violin enters, the instrument appears well in front of the orchestra, while occasionally moving back toward it at will. I'm not sure why Mr. Abeshouse chose these qualities; perhaps with the resonance he wanted the smallish chamber orchestra to sound bigger than it was; perhaps by occasionally moving the soloist forward and back he wanted to emphasize the violin's part in the proceedings. In regard to the resonance, I doubt that any recording studio would be this reverberant, but I've never been there so I don't know. Maybe the sound would be just right if listened to through ear-buds, in a car, or via inexpensive computer speakers; again, I don't know. But through my VMPS towers, the orchestral sound was often a bit too flat, too forward, too clouded, or too muffled for my taste, as well as a bit hard and bright in the upper registers. The violin, on the other hand, sounded mostly clear and vibrant, if sometimes, as I say, too close. In short, the recording produces an ever-changing sonic perspective, which listeners will either ignore or find distracting. Also, Stravinsky: Petrouchka. 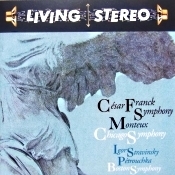 Pierre Monteux, Chicago Symphony Orchestra and Boston Symphony Orchestra. RCA Living Stereo 09026-63303-2. To say that these interpretations are authoritative would be an understatement. 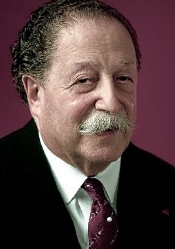 Maestro Pierre Monteux performed the Franck Symphony in D Minor probably more so than any conductor before or since; and he premiered the Stravinsky Petrouchka in 1911. These recordings, from 1961 and 1959 respectively, were his last words on the subject. In terms of both performance and sound, my own previous favorites for the Franck Symphony were Charles Dutoit's digital recording on Decca and Sir Thomas Beecham's on EMI. I'll stick with commenting on Dutoit for comparison purposes, his performance and sound being very good (although not quite as good as Beecham's). Alongside the remastered Monteux, however, Dutoit seems more matter of fact, more suavely elegant, to be sure, but ultimately more mundane than Monteux. Monteux, on the other hand, is more reposed and more insightful. Although his timings are not much different from Dutoit's, Monteux's pacing is more meaningful for his greater lingering on pauses, his greater affection for phrasing. The music under Monteux is just as dramatic in the opening and closing movements as Dutoit's, swinging from moody to energetic, but it is especially more ravishing in the central Allegretto, with its prominent English horn solo, and in the playfulness of the slender scherzo-like theme that follows. The sound of the Dutoit disc is admittedly more detailed, but it is really no more lifelike. Where the newer Decca recording comes into its own is by its filling in the center of the orchestral sound better, Monteux's RCA recording being a bit more prominent in the left and right channels. The Stravinsky is another matter, and none of my references here--Rattle, Muti, Ansermet, Davis, and Haitink--moved me as much as Monteux did. Petrouchka has always struck me as a rather creepy little ballet, anyway, and Monteux brings out all the color of the slightly sinister characters and events. The sound is even better here with the Boston Symphony than in the Franck with the CSO. My only previous experience with the recording was on an old LP that disappointed me greatly for its dullness and noise. But the recording is now shiny and well remastered, the highs sparkling, the midrange natural, the bass robust, the stereo spread considerable. Interestingly, Monteux introduced Petrouchka to American audiences in 1920 while also conducting the Boston Symphony Orchestra. To have both performances on a single, mid-priced CD is a godsend (and more recently remastered on an SACD). Obviously, I highly recommend it. German-born conductor Christian Reif, described as "the complete package" by the San Francisco Chronicle, makes his New York conducting debut on Thursday, August 2, 2018 at 7:30 pm at the Gerald W. Lynch Theater at John Jay College, part of Lincoln Center's "Mostly Mozart Festival." A former conducting student of Alan Gilbert at The Juilliard School, Reif leads the International Contemporary Ensemble (ICE) in a program celebrating the fusion of piano and technology, centered around John Adams's Grand Pianola Music. The concert also includes Courtney Bryan's Songs of Laughing, Smiling, and Crying and a newly revised version of George Lewis's epic chamber piece Voyager using artificial intelligence technology. One of the most promising conducting talents of his generation, Christian Reif is currently the Resident Conductor of the San Francisco Symphony and Music Director of the San Francisco Symphony Youth Orchestra. 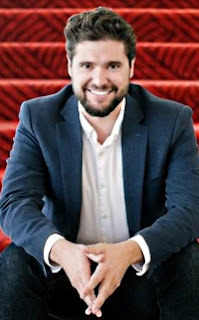 He began his tenure in San Francisco during the 2016-17 season following two years in Miami as Conducting Fellow with the New World Symphony, working closely with Michael Tilson Thomas. His April 2018 San Francisco Symphony subscription concerts prompted Joshua Kosman of the San Francisco Chronicle to write: "He's a conductor of considerable stature, and everything felt like the work of a significant musical artist." The Philadelphia Orchestra had not finished its residency before Bravo! 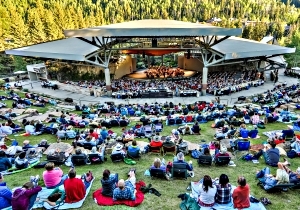 Vail Music Festival Artistic Director Anne-Marie McDermott took to the stage to announce that the exemplary orchestra would be back in 2019 for the summer classical music destination's debut opera production: Puccini's Tosca. The exquisite, outdoor Gerald R. Ford Amphitheater will be transformed as never before for two performances of Tosca on July 11 and 13, 2019. The unprecedented production for Bravo! Vail will reunite The Philadelphia Orchestra, under the direction of Music Director Yannick Nézet-Séguin with Director James Alexander and production company Symphony V, whose imaginative design will transport audiences to 1800s Rome. An all-star cast will be announced at a later date. 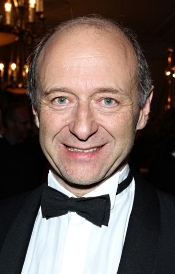 "I never imagined when I became Artistic Director in 2010 that Bravo! Vail would be mounting this unique production of Tosca with the amazing Yannick Nézet-Séguin, The Philadelphia Orchestra, and director James Alexander. It is both humbling and inspiring that the Bravo! community has so generously embraced this once-in-a-lifetime opportunity to bring opera to the Gerald R. Ford Amphitheater at the highest artistic level," said Bravo! Vail Artistic Director Anne-Marie McDermott. Concerts at Saint Thomas (Saint Thomas Church, Fifth Avenue at West 53rd Street, NYC) announces its 2018-19 season, the third with Organist and Director of Music, Daniel Hyde. The season welcomes the inauguration of the new Miller-Scott Organ, one of the most significant instruments of its type in the country, which will be showcased in both solo and ensemble performances throughout the year. The season opens on October 5, with a solo organ recital by Director of Music, Daniel Hyde, introducing this important new instrument with a virtuosic program exploring the organ's full capabilities and qualities. The organ is featured on five additional recitals given throughout the 2018-19 season. Over 2,000 singers will gather at Walt Disney Concert Hall on Saturday, July 21 to take part in the largest free group singing event in California history—Big Sing California. The event features a live concert by the full 100-voice Los Angeles Master Chorale that will perform from the stage with the 2,000-person audience singing along to selected works on the program. The concert will be conducted by composer Eric Whitacre, Grant Gershon, the Master Chorale's Kiki & David Gindler Artistic Director, and guest conductors Moira Smiley and Rollo Dilworth. Whitacre, who is currently the Master Chorale's Swan Family Artist-in-Residence—and who attracts a huge global audience—will also serve as the event's host. Live feeds will take place during the concert, connecting the participants in the hub cities to Whitacre and the Master Chorale in Los Angeles. The event's reach is further expanded with the concert being live-streamed on the Big Sing California website, making it possible for people around the world to participate. Around 10,000 singers are expected to take part state-wide. Festival Mozaic Has Started. Do You Have Your Tickets? We are thrilled to announce that Young People's Chorus of New York City has been named "Choir of the World" at the International Choral Kathaumixw. On Friday July 6, YPC, conducted by Associate Artistic Director Elizabeth Núñez, won two first-place awards in the 2018 International Choral Kathaumixw competition in both the Children's Choir and Contemporary Choral Music categories. YPC was one of 21 adult and children's choruses from throughout the world—from the USA and Canada to as far as Cuba, Hong Kong and Taiwan—to compete in seven categories from July 3 to 7. Following the announcement of these first place wins, a second competition was held on Friday evening among the six first-place winners for the title of "Choir of the World." In addition to YPC, the other first-place winners included children's and adult choirs from Australia, Canada, Poland, the Slovak Republic, and another choir from the USA. On Saturday, at the gala closing ceremonies in the Great Hall, Festival Artistic Director Walter Martella made the announcement: YPC had won the title of Choir of the World! YPC is the only North American chorus to have won this award in the festival's 30-year history. The Music Institute of Chicago announces the 2018–19 season of its Faculty and Guest Artist Series, featuring classical, jazz, and multi-genre artists; holiday programming for families; and a collaboration with the Bach Week Festival. All concerts take place at the historic Nichols Concert Hall, 1490 Chicago Avenue in downtown Evanston, Illinois. The season features violinist Jennifer Koh, a Lionel Hampton birthday celebration, a genre-defying Time for Three, a Bach Week Festival joint performance, and special family holiday programming. All performances take place at Nichols Concert Hall, 1490 Chicago Avenue, in Evanston, IL. Admission, except where noted, is $50 for VIP seating, $40 for adults, $25 for senior citizens, and $15 for students. Tickets are available at musicinst.org/nichols-concert-hall or by calling 847.905.1500 ext. 108. All programming is subject to change. For more information, visit musicinst.org. "A Tribute to Max van Egmond"
Saturday August 4 2018 2:00 p.m.
San Francisco Conservatory of Music, 50 Oak Street, San Francisco, CA. 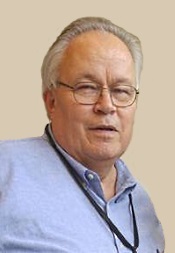 Part of the ABS Festival's annual free Public Colloquium will be a tribute to one of the most prolifically recorded performers of Baroque music, Max van Egmond, who retires from the ABS Academy faculty at the end of this summer. His colleagues will offer anecdotes about their most memorable collaborations with the celebrated singer, who will speak personally with reminiscences about his own history in HIPP. "Max van Egmond's Final ABS Performance"
Saturday August 11 2018 8:00 p.m.
A showcase for the virtuosi of ABS, this program presents dazzling works by Bach, Biber, Pachelbel, Quantz, Telemann, and Zelenka. Legendary bass-baritone Max van Egmond makes his ABS Festival farewell performance in Johann Sebastian Bach's cantata for solo bass, Der Friede sei mit dir ("Peace be with you"), Cantata 158. 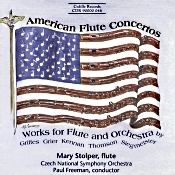 Mary Stolper, flute; Paul Freeman, Czech National Symphony Orchestra. Cedille Records CDR 90000 046. Cedille Records just keep rolling merrily along, producing some of the best-sounding CDs in the marketplace. Even when the recording originates in Prague, as this one does, it sounds as natural and lifelike as the company's Chicago-based productions. The works for flute and orchestra presented here are all by American composers, meaning they are relatively modern. The earliest was written in 1918, Charles Griffes's "Poem for Flute and Orchestra." It is done in a single, ten-minute movement, largely melancholy, with a simple lyrical twist about halfway through. Coming next chronologically is Kent Kennan's "Night Soliloquy for Flute, Strings and Piano," 1936. He aptly titled it, as it conjures up images of a quiet, almost eerie night that builds up momentum to a dramatic solo, eventually fading into nothingness. 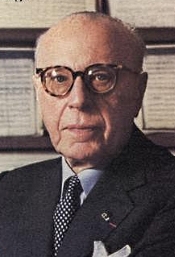 The most famous name on the program is that of Virgil Thomson, represented here by his "Concerto for Flute, Strings, Harp and Percussion" from 1954. It is unusual in that its first movement is entirely a flute solo. It is mostly calm and settled, building only slightly as it moves forward; it is followed by a sullen middle movement, and then by the entrance of harp and percussion in the finale. From 1960 comes Elie Siegmeister's "Concerto for Flute and Orchestra." It begins as a nostalgic piece and then works its way toward jazz and more modern rhythms by the end. Finally, the newest work on the disc is the one that opens the album, Lita Grier's "Renascence," 1996, which the composer calls her "rebirth" because it was her first new composition in over thirty years. Of the three movements, the first and third are quick, lively, spirited, and just a little quirky. They display a variety of temperaments, none developed at length. The slow middle movement, however, is beautifully haunting and Debussy-like in its pastel shadings. 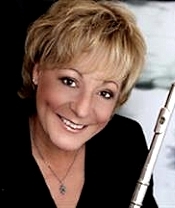 Handling the flute solos is Mary Stolper, currently the Principal Flute of the Grant Park Symphony, Chicago Opera Theater, and the music ensemble Fulcrum Point. Throughout these works, her playing remains graceful, fluid, and animated by turns. The late conductor Paul Freeman's orchestral accompaniment is almost invisible, and the Czech National Symphony Orchestra provides a cozy support. Although the album is a little on the somber side, it takes a fascinating and well-deserved glimpse at some of America's less-known and perhaps less-appreciated music. The sound for the disc is clear, reasonably transparent, and well balanced, never unduly highlighting any single instrument, except, of course, the flute, which the engineers have placed realistically within the ensemble setting. Also, a discussion of the work by the conductor. Rebecca Evans, Patricia Bardon, Robert Murray, Derek Welton, Philharmonia Chorus; Benjamin Zander, Philharmonia Orchestra. Brattle Media 2018 (3-CD set). First, let me one thing clear: I don't think any conductor purposely sets out to produce a bad performance. 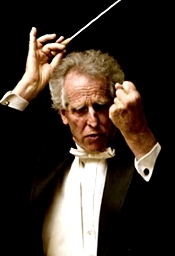 Some of our greatest conductors have been criticized for their idiosyncrasies: Stokowski, Klemperer, Karajan, Toscanini. Yet the record catalogues are filled with conductors who do the opposite and take the safe route, creating bland recordings that sound like almost everyone else's. I say this because Maestro Benjamin Zander had his fair share of criticism some years ago when he first recorded the Beethoven Ninth using Beethoven's own, rather zippy metronome tempos, and I have no doubt he'll come in for more such criticism for this second such realization. Whether you like the interpretation or hate it, however, know that Maestro Zander is giving it his best shot at providing what he considers a fresh and refreshing approach to the subject matter. OK, so if you'll recall, when Philips and Sony developed the compact disc back in the early Eighties, they decided on a storage limit of about seventy-five minutes because that was the average length of the Beethoven Ninth Symphony. Well, Zander's New Philharmonia performance, using Beethoven's own metronome markings, clocks in at just over fifty-eight minutes. Of course, not everyone agrees that Beethoven's own metronome was entirely accurate or that Beethoven actually knew how to use it, but fifty-eight minutes? That's faster than most conductors take the score even when they're following the tempo markings precisely. For instance, Roger Norrington in his period-instruments reading comes in almost four minutes longer than Zander. The thing is, as I said, Maestro Zander had already used this approach with the Beethoven Ninth. In his IMP Masters recording with the Boston Philharmonic twenty-odd years earlier, he did almost the same thing, his performance clocking in at just slightly under fifty-eight minutes, no more than a few seconds different from here. 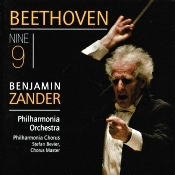 Frankly, I'm not sure what the point is in adhering slavishly to Beethoven's tempo markings in the first place, and I'm not sure why Zander felt it necessary to do it all over again in a second recording. In any case, we have what we have. Interestingly, it was just last year that I reviewed a similarly peppy reading of the Ninth with David Bernard and his Park Avenue Chamber Symphony on the Recursive Classics label. Bernard also claimed to follow Beethoven's original tempos, but his rendition seems less rushed than Zander's (and, in fact, is slower by some seven minutes). Zander, on the other hand, appears hell-bent-for-leather almost throughout, perhaps hoping to gain a measure of notoriety by being the fastest Ninth on record. I don't know. Anyway, Ludwig van Beethoven composed his Symphony No. 9 in D minor between 1822 and 1824, and it would be his final completed symphony. Its most prominent feature, of course, is the use of a vocal movement--soloists and chorus--for the finale (and, thus, its nickname "The Choral Symphony"). It's a monumental work, the choral finale preceded by an Allegro, Scherzo, and Adagio. Under Zander the first movement Allegro ma non troppo is robust in the extreme and flashes by in a hurry. Perhaps it's a matter of the metronome marking and the tempo designation being somewhat in conflict. The second movement Scherzo is, if anything, the most normal part of Zander's proceedings. I found his pace for it satisfying, though not particularly imaginative. Next, we have the third movement Adagio, which I'm sure Beethoven meant to be lyrical and sensitive. Instead it seems rather lacking in such qualities because of Mr. Zander's insistence upon rushing through it. He, of course, claims he is doing things exactly as Beethoven intended and that it is only long-standing tradition that has given us lengthier, more-solemn interpretations. Fair enough, but where's the beauty in that? Then we come to the concluding choral movement (the familiar "Ode to Joy"), the moment we've all been waiting for. Here again we get Maestro Zander fairly racing through the pages, only this time the singers have to keep up. Even though they mostly do, they sound a bit breathless at times, too. Although there is no question Zander's realization has its thrilling moments, they tend to overshadow the composer's objective here, for the music to be above all joyous. 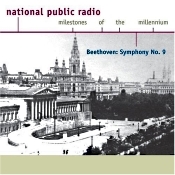 So there you have it: a Ninth Symphony for people in a hurry. Maestro Zander seems so sincere and so dedicated to his tempo proposition that it's hard not to like the product. But that is, indeed, my case. I found it only intermittently interesting, but mostly just fast and fussy. The conductor appears to spend the bulk of his time adhering to the letter of the score while missing much of its spirit. While it can be exciting, to be sure, it appears to lack heart, feeling, affection. OK, I know that Mr. Zander would say it is his love of the work that has driven him to stick so closely to the printed page; however, that may not help the listener to like the reading any better. In addition to the symphony, Maestro Zander includes a two-and-a-half hour discussion of the music, along with musical examples, which takes up two bonus discs. If you remember Zander's discussions of the Mahler symphonies for Telarc, you'll get the idea. Some listeners will no doubt find his extensive commentary enlightening and instructional, while others, like myself, may find it more than a bit long-winded. 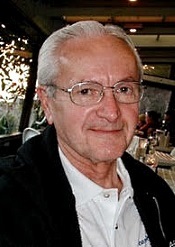 His primary objective appears to be to convince his audience that his interpretation is not only valid but revelatory and imperative and far more accurate than any others. The discussion, a lecture really, seems to me a little too didactic to be entirely satisfying or engaging. Producers Elaine Marton and David St. George and engineer Robert Friedrich recorded the symphony at Watford Colosseum, London, in March 2017. The sound is appropriately dynamic, a tad soft but well imaged. Bass and treble extensions seem pretty good, while midrange definition is only average. Solo voices are clear and distinct; choral voices are slightly less sharp and frequently a tad bright and forward. The CD will be available to purchase on July 16th (the release date) on Amazon, iTunes/Apple Music, and Spotify. Winner of the 2018 Grammy Award for Best Choral Performance, The Crossing, with conductor Donald Nally, today announces its 2018-19 season, titled Aniara. The season--which is centered around exploring mankind's place in the universe, the relationships between humans, navigating through space and life, and the passage of time--features The Crossing's New York Philharmonic and Peak Performances debuts, the world premiere of the choral-theater work Aniara: fragments of time and space; and world premieres by Gavin Bryars, Michael Gordon, Thomas Lloyd, and Toivo Tulev. The season kicks off on Sunday, September 16, 2018 at 5:00 p.m. with a performance at FringeArts in Philadelphia as part of the Philadelphia Fringe Festival, featuring a world premiere from Ted Hearne, co-commissioned by Park Avenue Armory and The Crossing, together with Toivo Tulev's setting of Walt Whitman's "A child said, what is the grass?," a rare performance of David Lang's depart for 3 cellos and women, plus works by Louis Andriessen, Benjamin C.S. Boyle, Sebastian Currier, Suzanne Giraud, Gabriel Jackson, David Shapiro, and Kile Smith. 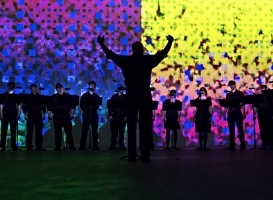 The program, Arms and the Man, explores themes of nationalism and war, victory and loss, and joy and despair; it is also performed at New York's Park Avenue Armory on Wednesday, September 19, 2018 at 7:30 p.m. and Thursday, September 20, 2018 at 7:30 p.m. in an expanded concert experience that winds through the Armory's historic reception rooms. I'm often asked which of our American Bach Soloists Festival programs bring me the greatest joy and excitement. That's a tough call! Our 2018 Festival is jam-packed with enticements! A few years ago, when our Summer Festival focused on music from Versailles, it was a thrill to prepare and perform the stunning music that was composed for some of the greatest performers in Baroque Europe who performed in Paris. But, whereas one would be well justified in remarking that it was the composers who shone brightest in that ilk, at this summer's Festival we visit the legacy of what was probably the finest orchestra in all of Europe at the time, the famed Hofkapelle, or court orchestra, in Dresden. We've put together two extraordinary programs that focus on music for that incredible Dresden orchestra. The first, which shares its title with the moniker for this year's Festival, is called "The Glorious Court of Dresden" and features music composed by Dresden's finest resident composers. Their names might be a little less recognizable than some, but their music demanded the virtuosity of the Hofkapelle's roster, and we've got our own ABS virtuosi lined up to take us back to that golden age. On the second evening of our Festival, titled "To Dresden With Love," we present music composed by non-residents of Dresden but sent to the court through some sort of solicitation or, in the case of the Bach celebratory cantata on our program, offered to its Elector as a testimonial of its composer's esteem for the Dresden musicians and, more to the point, of his desire and ambition to be a part of the city's coveted musical scene as developed first under the patronage of Augustus II the Strong, then upheld by his son and successor, Frederick Augustus III. Paired with the Bach is Vivaldi's "Dixit Dominus" that was rediscovered in our current 21st century in a Dresden library. Young People's Chorus of New York City, led by Elizabeth Núñez, returns to Lincoln Center's "Mostly Mozart Festival" as featured artists in the New York production premiere of two fully staged productions of Bernstein's MASS: A Theater Piece for Singers, Players and Dancers. Mostly Mozart Artistic Director Louis Langrée conducts the Mostly Mozart Festival Orchestra, baritone Nmon Ford, and the cast in this lavish work described by The New York Times as "An extravagant, exuberant and endlessly inventive creation." Highlights include guest cellist Ian Maksin and guest violist Stephen Boe in downtown Chicago, Evanston, and Geneva, Illinois. The Orion Ensemble, winner of the prestigious Chamber Music America/ASCAP Award for Adventurous Programming, announces its 26th season, "The Journey Continues," featuring classic and contemporary chamber works, respected guest artists and the widely praised musicianship of its core members: clarinetist Kathryne Pirtle, violinist Florentina Ramniceanu, pianist Diana Schmück and cellist Judy Stone. 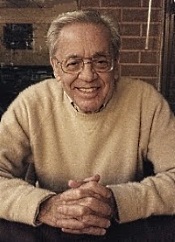 Orion performs each concert program at venues spanning the Chicago area, including the PianoForte Studios in downtown Chicago, Chapelstreet Church in Geneva and the Music Institute of Chicago's Nichols Concert Hall in Evanston, along with a new venue this season: First Congregational Church of Glen Ellyn. 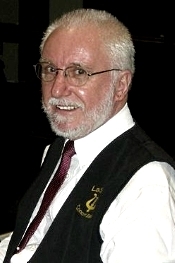 Guest violist Stephen Boe will participate in all four concert programs. FAYM does not have weekly classes during the summer months but we did have a Summer Camp from June 5 through June 9. That week was extremely busy for Mr. Tim Thomas, our Program Coordinator and for our teaching/coaching staff. While there was a speed bump in our road, the summer camp started June 5th rather than the planned June 4th. Thanks to Mr. Thomas and the Roy Martin Administration, the 'glitch' was solved and we were able to start on June 5th. Even though we do not have classes during the summer months there is lots of planning that takes place. We need to hire some staff members to replace those that cannot be with us for the 2018/2019 school year and we are also looking at consolidating some classes and perhaps adding a class or two. Things are still in the planning phase so we will not have an August Newsletter but we will bring you up to date in September. As I look back, 2017/2018 was a good year. I am looking forward to 2018/2019 as an even better year! In less than two short weeks, more than 50 musicians will arrive on the Central Coast to begin rehearsals for our 48th annual summer festival, Music Without Borders, July 17-29, 2018, featuring 30 events in 19 different venues in beautiful San Luis Obispo County, California. Explore all of Festival Mozaic's unique concert programs: Orchestra, Chamber Music, UnClassical, and Notable Encounters. The Festival also offers Free Community Events, including lectures, open rehearsals, master classes, and our popular Midday Mini-Concerts. Music Institute of Chicago duo pianists Lauren Kim and Colin Song cap off a busy year of concerts across the country with a performance at home as part the Chicago Duo Piano Festival's 30th Anniversary celebration. Known as Duo Appassionato, the young musicians, coached by Music Institute faculty Claire Aebersold and Ralph Neiweem, won the 2017 Chicago National Youth Competition for Piano Duos last summer. In February, the duo was selected to appear on an episode of From the Top, the hit NPR radio program featuring America's best young classical musicians, taped live at the Smith Center for the Performing Arts in Las Vegas. In March, they competed at the Music Teachers National Association (MTNA) National Conference in Orlando, Florida as the East Central Division winners of the MTNA Competition. Lauren, 17, will be a senior at Northside College Preparatory High School in Chicago this fall and studies with Music Institute Piano Department Chair Elaine Felder. Colin, 15, lives in Glenview and will be a junior at Glenbrook South High School this fall; he studies piano with Ralph Neiweem at the Music Institute. Lauren and Colin will perform Leonard Bernstein's Overture to Candide Tuesday, July 10 at Nichols Concert Hall as part of the Chicago Duo Piano Festival's 30th anniversary summer festival. The 30th anniversary Chicago Duo Piano Festival features six concerts, including the "Basically Bernstein" concert July 10 featuring Lauren Kim and Colin Song, July 8–20 at Nichols Concert Hall, 1490 Chicago Ave., Evanston. Single concert tickets are $30 for adults, $20 for seniors, and $10 for students; a 3-PASS is $60 for adults, $40 for seniors, and $20 for students. Call 847-905-1500, ext. 108 or visit chicagoduopianofestival.org. On Thursday 5 July, Opera Rara announced an important new partnership with Warner Classics who will assume worldwide distribution for Opera Rara recordings. The agreement includes all future recordings, together with Opera Rara's most recent releases: International Opera Award-winning recordings of Offenbach's Fantasio and Donizetti's Les Martyrs, and selected recordings of the extensive back catalogue of more than 85 recordings. Friday 7 September marks the release of Rossini's Semiramide, the first Opera Rara recording to be distributed under the new agreement. Conducted by Opera Rara's Artistic Director, Sir Mark Elder, Semiramide was recorded in the studio with the Orchestra of the Age of Enlightenment, Albina Shagimuratova in the title role and Daniela Barcellona as Arsace. As The Spectator commented on Opera Rara's performance with the same forces at the 2016 BBC Proms, "Rossini's Semiramide is a challenge to even the world's top opera houses. Canny repertoire choices and superb casting have helped this enterprising outfit return many a work to the popular canon, and if this concert preview of its latest release is anything to go by, it's done it again." On the new collaboration with Opera Rara, Alain Lançeron, President of Warner Classics & Erato, said: "For many years I have been an admirer of Opera Rara and their mission to bring neglected operatic masterpieces to life. We are delighted to welcome them to our roster of distributed labels." The Angel's Share, the acclaimed new concert series by Unison Media and The Green-Wood Historic Fund that features opera and chamber music concerts in the remarkable Catacombs of New York's Green-Wood cemetary, will continue in August with programs by harpist Bridget Kibbey and twin sister piano duo Christina and Michelle Naughton. The series, which kicked off in June with the world premiere of David Hertzberg's chamber opera The Rose Elf directed by R. B. Schlather, was praised by The New York Observer as being "everything you want opera to be...[it] shocked, confounded, disturbed, and, in the end, exalted." The Angel's Share follows Unison Media's acclaimed Crypt Sessions, which debuted at the Church of the Intercession in Harlem in 2015. The intimate performances have generated unprecedented attention, with tickets selling out within minutes of the on-sale date. The New York Times included one of last year's Crypt Sessions on its list of the "Best Classical Music Performances of 2017." We are thrilled to announce that Young People's Chorus of New York City has received two first place wins at the 2018 International Choral Kathaumixw! YPC, led by Associate Artistic Director Elizabeth Núñez, competed in 3 out of 7 possible categories, and won in two categories: Children's Choir and Contemporary Choral Music. Now, tonight, they will compete one more time—in a 12-minute program--this time against the winners in the other five Kathaumixw categories for the title of "Choir of the World." Romantic Piano Classics from the Silver Screen. Jean-Yves Thibaudet, piano; Hugh Wolf, BBC Symphony Orchestra; Vladimir Ashkenazy, the Cleveland Orchestra. Decca 289 460 503-2. The movies have forever used classical music as themes and background, from the earliest silent films and their piano and organ accompaniment to today's big-screen, multichannel blockbusters. Stanley Kubrick practically revived the entire classical-music scene with his groundbreaking films. 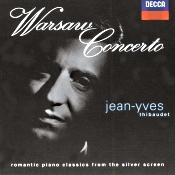 But of the five items on the Decca disc under review, only the ersatz Warsaw Concerto was written directly for a film, Dangerous Moonlight, in 1941. All the other pieces derive from existing classical material. The other works included are parts of Rachmaninov's Second Piano Concerto and Rhapsody on a Theme of Paganini, Gershwin's Rhapsody in Blue, and Shostakovich's Second Piano Concerto. These selections featured in the films Brief Encounter, The Seven Year Itch, The Story of Three Loves, Groundhog Day, Rhapsody in Blue, and Manhattan. 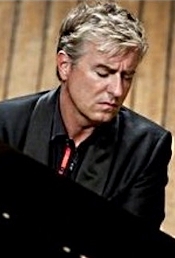 French pianist Jean-Yves Thibaudet plays all of the music almost painfully romantically, yearningly, wistfully, rapturously, if not always so forcefully as you might find elsewhere. The Rachmaninov Adagio, for instance, lacks much fire in spite of its ecstatic nature. The orchestras, Cleveland under Vladimir Ashkenazy for the Rachmaninov selections and the BBC Symphony with Hugh Wolf for the others, play in lush, gushing accompaniment. It's all appropriate for the temperament of the compositions, so I'm not complaining, you understand. In the early days of digital recording, critics complained of too much brightness, hardness, and edginess in the sound. By the Nineties or so, however, record companies had gone out of their way to produce just the opposite, often erring in the direction of too soft a focus. I suppose the works on this disc, recorded between 1994-98, benefit psychologically from the big, warm sound Decca provides them, but the sonics aren't always as clear as an audiophile might like. The Warsaw Concerto, as an example, receives a far more incisive and transparent rendering from Daniel Adni on EMI's "Classics for Pleasure" label, and Ashkenazy's own, earlier analogue discs with Andre Previn are more lucid (and more heartfelt) than these. Still, if one's audio system tends toward the upper frequencies, as many of today's movie-oriented speakers do, these performances might just compensate. Otherwise, this remains a good collection of mood music, better played and certainly better written than most of what passes for theme music in a lot of today's movies. JoAnn Falletta, Buffalo Philharmonic Orchestra. Naxos 8.573839. Since entering the musical stage in the late 1970's, JoAnn Falletta's reputation and popularity have grown in prominence. Today, she is the musical director of the Buffalo Philharmonic, a post she has held for twenty years, as well as director the Virginia Symphony, and she has, remarkably, recorded over seventy albums, mostly for the Naxos label. Eventually, we knew she'd have to get around to recording Wagner, and on the current disc she offers orchestral music from all four of Der Ring des Nibelungen's music dramas: Das Rheingold, Die Walkure, Siegfried, and Gotterdammerung. 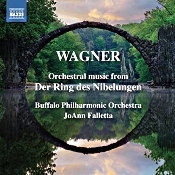 If you enjoy Wagner's symphonic music from The Ring but haven't the patience to sit through the lengthy vocals parts, Ms. Falletta's handling of these scores is about as good as any. Things begin with Das Rheingold and the "Entrance of the Gods into Valhalla." It's grand, glorious music, setting the tone for the rest of the album. Ms. Falletta uses it as a kind of overture. It gets our attention and heightens our expectations. And her Buffalo players are up to the task; they may not yet be in the sphere of a Berlin Philharmonic, but they are a first-rate ensemble. Next, we get two items from Die Walkure: "The Ride of the Valkyries" and ""Wotan's Farewell" and "Magic Fire Music," both arranged by W. Hutschenruyter. Needless to say, the "Valkyries" music is among the most famous in all the classical repertoire. If you're old enough, you may remember Elmer Fudd singing "Kill da Wabbit" in the 1957 Looney Tunes cartoon "What's Opera, Doc," or perhaps you'll recall Colonel Kilgore (Robert Duvall) blasting the tune from his helicopters in Francis Coppola's 1979 war film Apocalypse Now. Ms. Falletta imbues the "Valkyries" music with the proper energy it requires and goes on to invest "Wotan's Farewell" and "Magic Fire Music" with plenty of color, power, and vitality. After those items is the lovely "Forest Murmurs" from Siegfried, arranged by H. Zumpe. Here, we get Wagner at his most picturesque, a short tone poem depicting the pastoral beauties of nature. Ms. Falletta does it justice, and, in fact, it is probably the highlight of the disc for me. Her gentle touch and careful phrasing bring the woods to life as well as any conductor I've heard. The album concludes with three pieces from Gotterdammerung: "Siegfried's Rhine Journey," arranged by E. Humperdinck; "Siegfried's Death and Funeral Music," arranged by L. Stastny); and "Brunnhilde's Immolation Scene." Solemn, beguiling, spiritual, and majestic by turns, this is music to inspire, with Ms. Falletta carrying out Wagner's intentions with consummate skill. It's beautifully, excitingly, imaginatively realized. Of course, there are any number of good recordings of Wagner's orchestral music from The Ring. 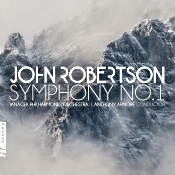 I especially like Georg Solti and the Vienna Philharmonic (Decca), Leopold Stokowski and various orchestras (RCA, HDTT), Erich Leinsdorf and the Los Angeles Philharmonic (Sheffield Lab), Otto Klemperer and the Philharmonia Orchestra (EMI-Warner Classics), and Antal Dorati and the National Symphony Orchestra (Decca), among others. JoAnn Falletta and the Buffalo Philharmonic can hold their head high in this august company. Producer and engineer Tim Handley recorded the album at Kleinhans Music Hall, Buffalo, New York in May 2017. The sound is a little better than usual for Naxos--clearer, sharper in its details, and better imaged. Typically, the Naxos sound can be rather ordinary, even soft and fuzzy sometimes. Here, it is well defined and moderately dynamic. It is maybe a bit too bright and sometimes slightly harsh in the lower midrange; fortunately, however, such moments are infrequent. It's also a tad narrower across the sound stage than I would have expected, but it compensates with a good depth of field. Overall, the recording serves the music reasonably well.